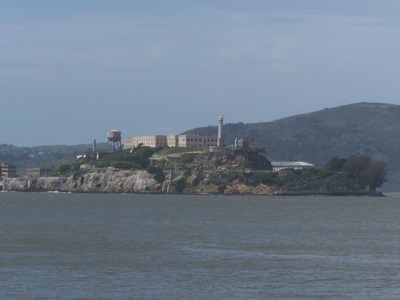 The island has featured as a location in numerous films including the Birdman of Alcatraz, Escape from Alcatraz, The Enforcer, X-Men: The Last Stand and The Rock. This Kindle eBook edition has been completely revised, reedited and updated with new inmate / officer interviews and historical accounts! NOTE: This book contains graphic depictions of crime and prison violence. ALCATRAZ – the name alone said it all… It was meant to send a shudder down the spines of the nation's most incorrigible criminals. It stripped Al Capone of his power. It tamed "Machine Gun" Kelly into a model of decorum. It took the birds away from the Birdman of Alcatraz. Alcatraz - A Definitive History of the Penitentiary Years has sustained as a staple reference for staff members and tour guides at Alcatraz, and remains one of the most comprehensive references chronicling the history of the island. This mammoth reference navigates the Island's history through rarely seen documents, interviews and hundreds of pages of historic photographs. Author interviews range from men such as legendary FBI fugitive James “Whitey’ Bulger; Dale Stamphill, a principle in the 1938 escape with Doc Barker and Henry Young; to Atom Spy Morton Sobell, the codefendant of Julius and Ethel Rosenberg. Historian Michael Esslinger thoroughly details the prominent events, inmates, and life inside the most infamous prison in American History. His research included hundreds of hours examining actual Alcatraz inmate files (including rare original documents from Al Capone, Machine Gun Kelly, and over a hundred others) exploring the prison grounds from the rooftop to the waterfront to help retrace events, escape routes, in addition to conducting various interviews with former inmates & guards. Esslinger interviewed a variety of principle figures, comprised of both inmates and officers who were either involved, on-duty or on Alcatraz during nearly escape attempt. Interviews included inmates and officers that covered each era of operations at Alcatraz from the early military period in the 1920’s, through the federal years: 1934 to 1963. His study has resulted in detailed accounts of both the 1946 & 1962 Escape attempts. A detailed account of the 1962 escape of Frank Morris and the Anglin Brothers provides rare insight extracted through photos, and over 1,700 pages of FBI and Bureau of Prisons investigative notes. Alcatraz vs. the Evil Librarians is the first action-packed fantasy adventure in the Alcatraz vs. the Evil Librarians series for young readers by the #1 New York Times bestselling author Brandon Sanderson. These fast-paced and funny novels are now available in deluxe hardcover editions illustrated by Hayley Lazo. Nobody wants to die in prison. For the first time, learn the details of each death at Alcatraz from 1934 to 1963. Among the men profiled are public enemy Dock Barker, crime boss Waxey Gordon, kidnapper Albert Bates, and FBI Top Ten Fugitive Henry Tollett.